This tag is constructed of rigid PVC. Text and/or logos can be imprinted on the front in a variety of colors. The back has “write-on” lines or panels for ID information to be printed with a Sharpie. The tag is very durable and ideally suited for use where extra visibility is required since it is oversized. 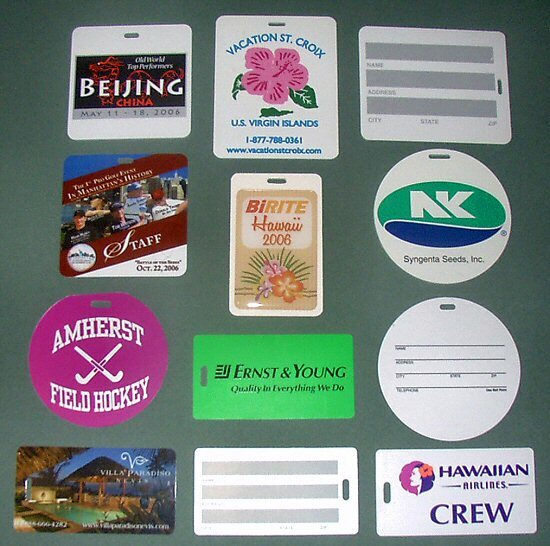 A vinyl loop is included with each tag which facilitates easy attachment to a suitcase or bag.